The symbol of youth is smooth, firm and elastic skin. Collagen is the foundational compound that delivers these effects. Both radiofrequency devices and microneedling devices are used for rejuvenation and skin tightening, but when they are combined, rejuvenation is synergistic. We are delighted to offer state-of-the-art fractionated radiofrequency microneedling to restore and enhance your appearance. What is microneedling with radiofrequency (RF)? It is an FDA – cleared and safe treatment that combines two proven nonsurgical treatments to tighten the skin, improve skin tone and texture, treat acne scarring, and smooth fine lines and wrinkles with minimal downtime or discomfort. It does this through collagen induction. Sterile microneedles create microscopic wounds in the dermis or the deep layer of skin. Radiofrequency energy is then delivered in a controlled dose through the microneedles. RF energy heats the dermis and facilitates natural wound healing, with a rush of platelets and growth factors to remodel collagen and elastin, which tightens the skin. Over a series of treatments, skin becomes smoother and firmer, and because collagen has been remodeled, results are long-lasting. Because treatments precisely target deep skin layers, the surface skin is not harmed, making this a safe treatment for patients of all skin colors. What is it microneedling RF used for? A series of 3-5 treatments may be recommended, and will be spaced three weeks apart for optimal results. 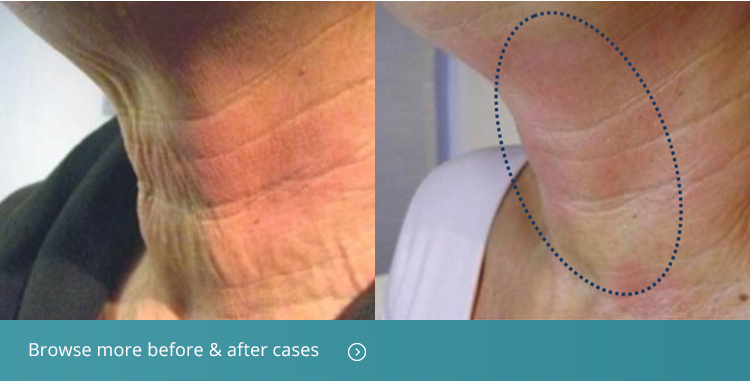 The treatment is safe and effective for all skin tones to address sagging skin, textural changes, wrinkles and scarring on the face, neck and body. Of course, Microneedling RF can be used as a complement to other procedures such as dermal fillers and Botox, or Lasers Skin Resurfacing to reduce sun damage. It can also be combined with Regeneo platelet rich plasma (PRP) for enhanced healing and accelerated collagen production. At Moy-Fincher-Chipps every treatment is customized to your needs, and is provided with the expertise that makes us a leading cosmetic dermatology, facial plastic surgery and dermatology practice in Los Angeles. Our dermatologists are board-certified and fellowship trained specialists with the skills and experience to help you look and feel your best. Schedule a consultation to learn about how you can achieve your desired enhancements to boost your confidence and enhance your self-esteem.